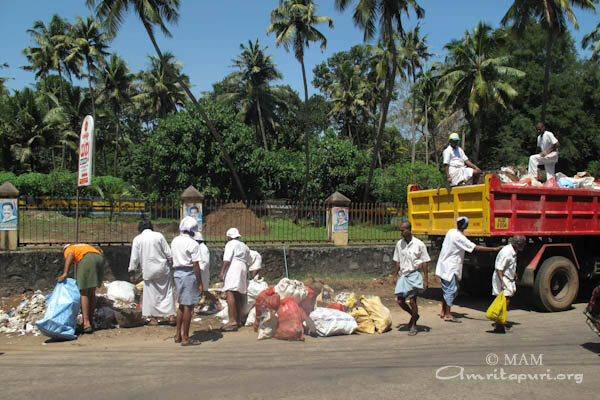 The students and staff of Amrita University continued their clean up drive that was inaugurated on 15 August 2010. 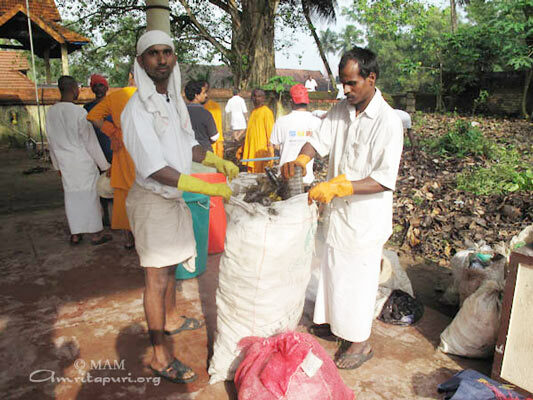 In the fifth phase of the drive on Sunday, Oct 24th, nearly 500 students, staff, brahmacharies of the ashram and devotees participated in the clean up drive simultaneously in Karunagappally town and the premises of Sastahmkota town and lake. 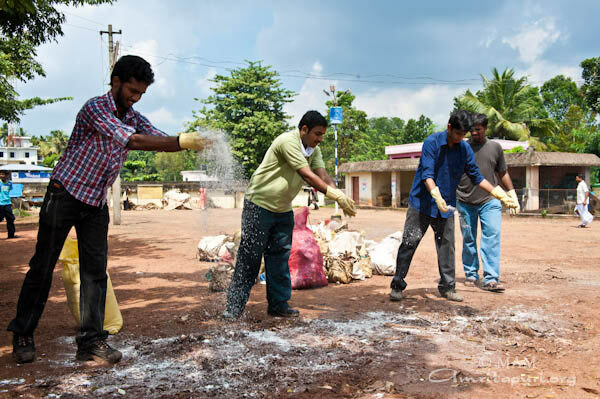 Cleanup of Sasthamkota lake premises gained urgency, the lake being the source of drinking water for many parts of Kollam district. 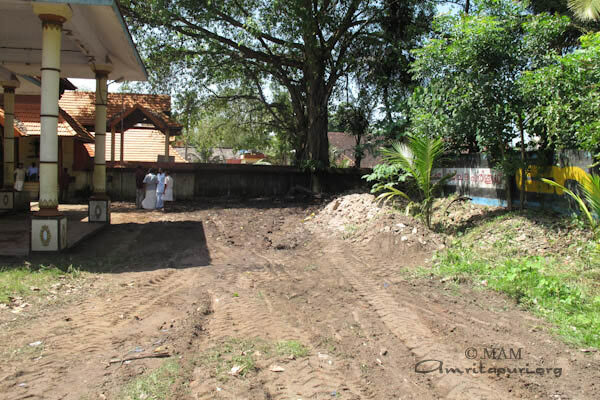 This is the biggest fresh water lake feeding it with springs from the bottom. 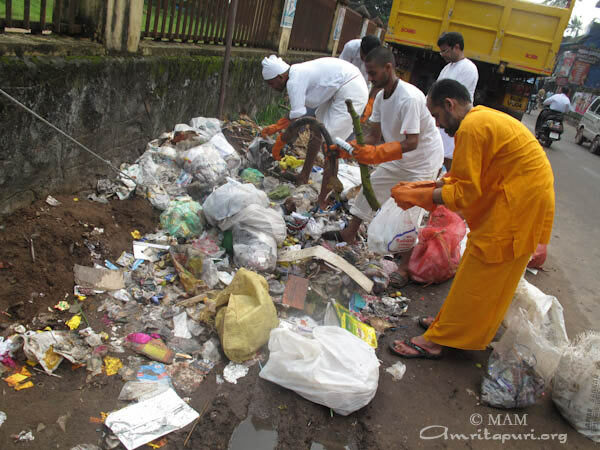 The cleanup drive was carried out after elaborate planning. 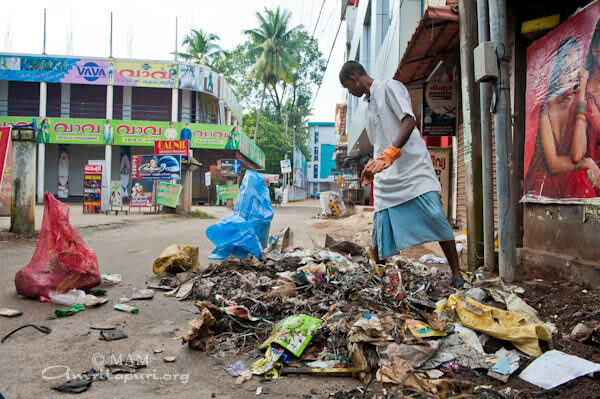 A survey was conducted in advance by a team of students to identify spots in the locality that needed cleaning and the resources required to carry out the task. 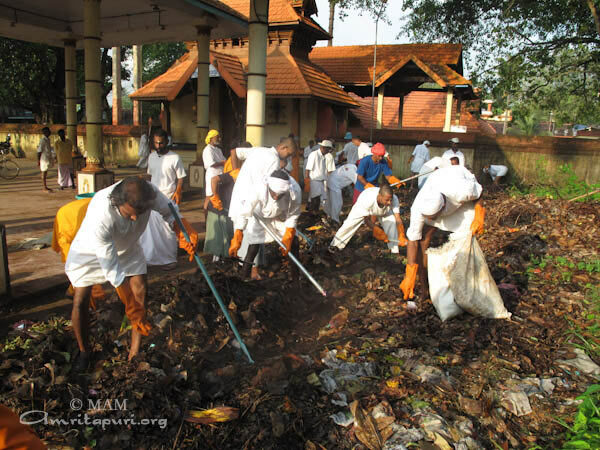 The volunteers started the cleanup drive at 9.00 am. 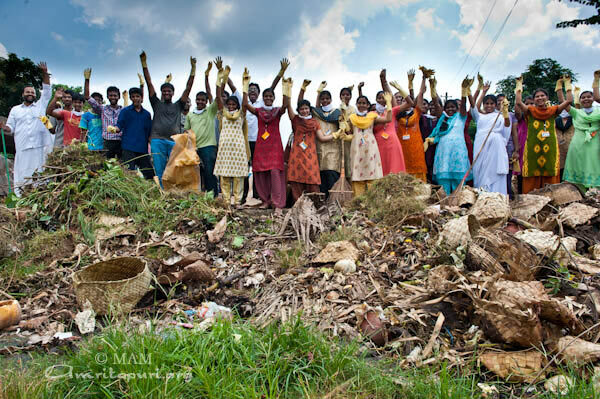 They organised themselves into several groups fully equipped with cleaning tools such as gloves, rakes, brooms, shovels, baskets, sickles and sacks. 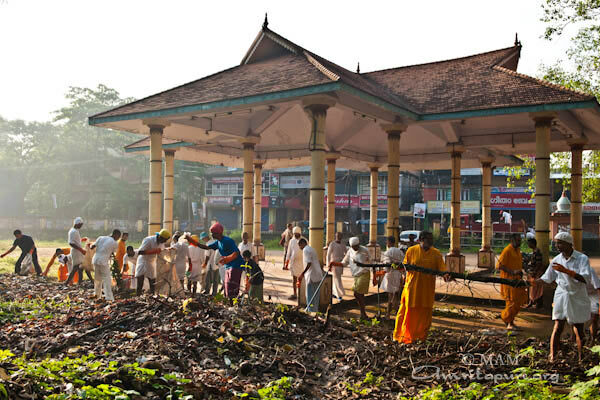 Nearly four square kms of area were taken up for cleanup which included the premises of fish market, government hospital, KSRTC Depot, temple, filter house and the banks of Sasthamkota lake. 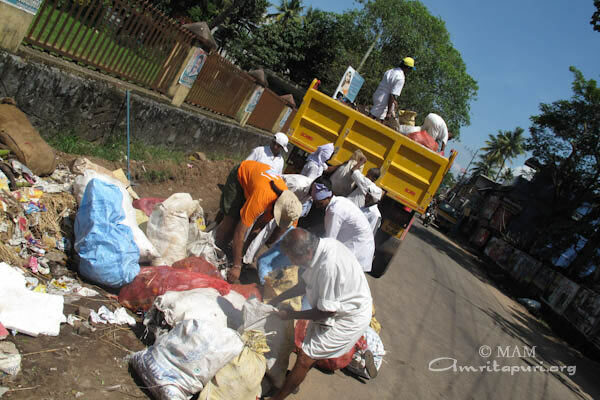 Truckloads of waste, segregated into recyclable and non recyclable, was removed from these spots. 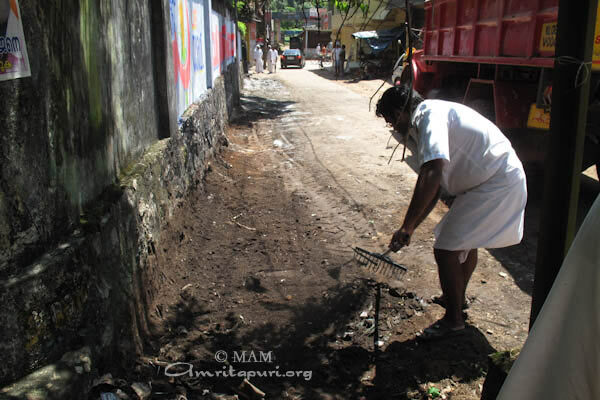 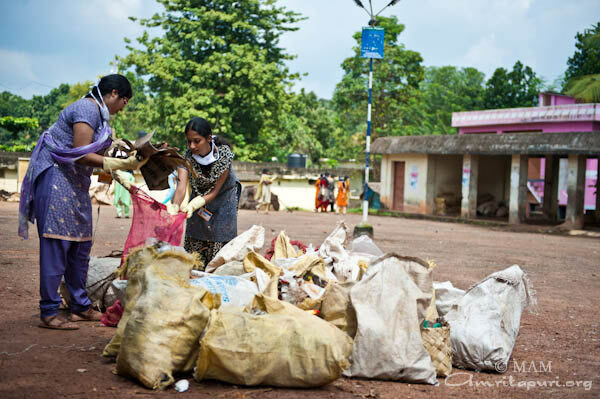 Biodegradable waste was buried in pits and recyclable waste was taken to the recycling centre in Amritapuri. 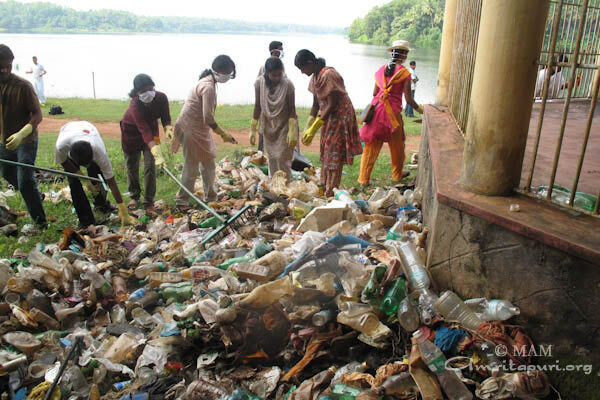 Sasthamkotta lake also has become a favourite destination for tourists and this has resulted in its banks being littered with thousands of bottles, plastics and other forms of food waste. 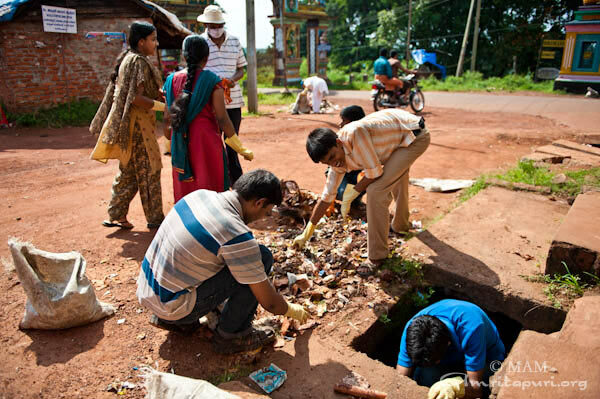 It was a shock for all those who participated in the cleanup drive that Sasthamkotta lake despite being the drinking water source for Kollam district, there were no measures in place to check littering on its banks. 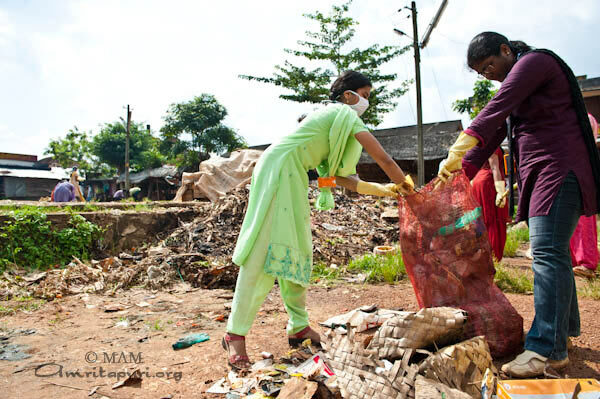 The locals mentioned that on account of poor waste disposal systems, every year, tons of waste lying exposed all over town, including hospitals, gets washed away into the lake during the rainy season. 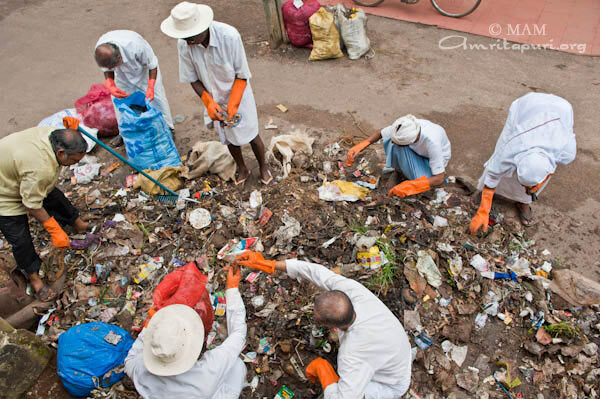 A major challenge faced by the cleanup volunteers was to collect and bury truckloads of waste dumped on both sides of the roads and canals.To dispose the large volume of garbage collected, a JCB and several tipper trucks were pressed into service. 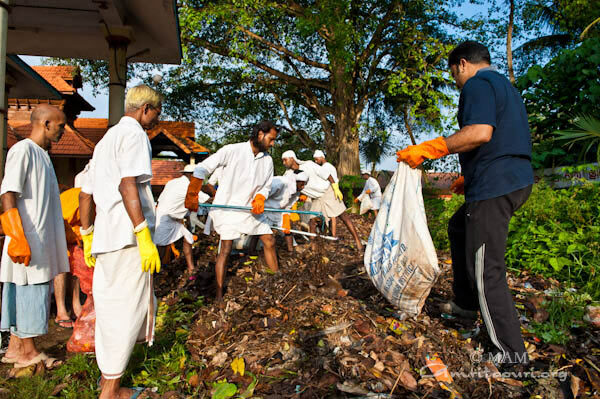 The local tahsildar, police, Kerala Water Authority officials and several prominent citizens of the locality actively supported the cleanup drive.